Everybody loves ice cream yes? Okay, maybe not all. MOST I GUESS! We are both NOT dessert lovers. We do NOT crave for sweet things. She does crave for sweet things every once in a while but that's quite rare lah. 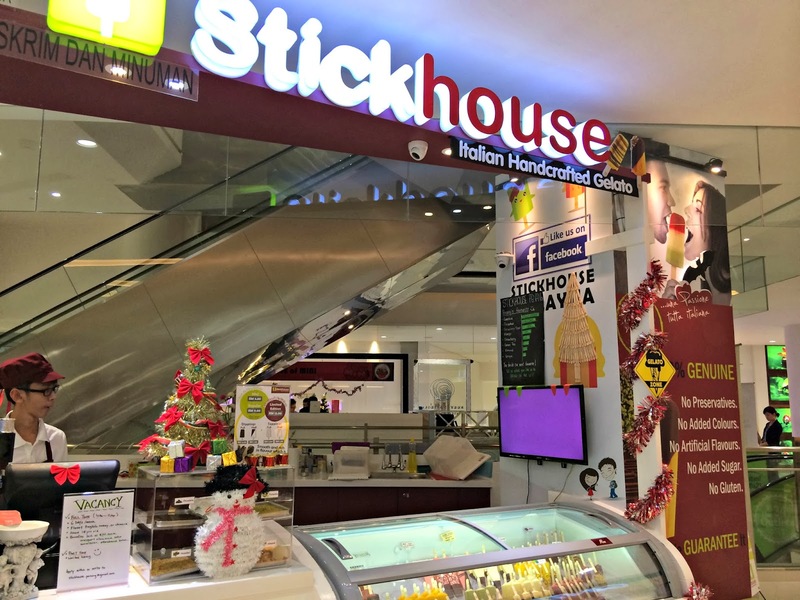 So, we were paktor-ing at Gurney Paragon when we walked past this shop. 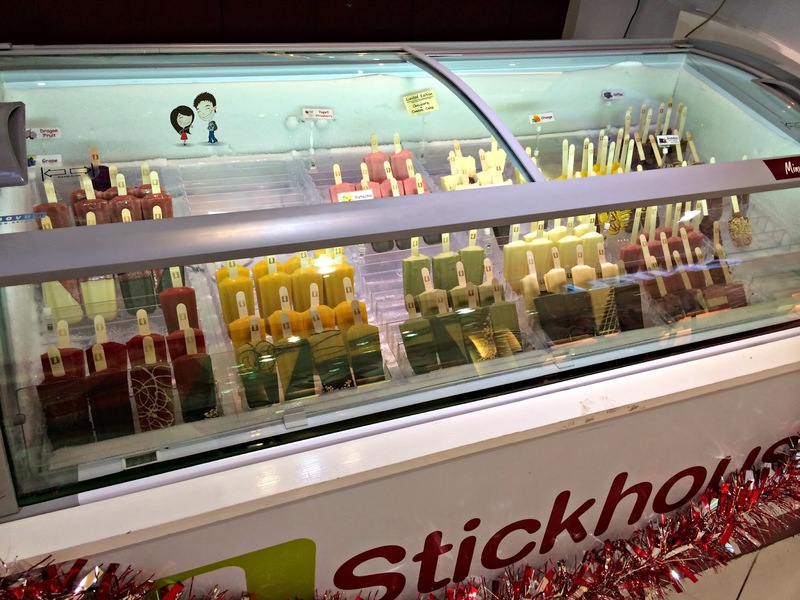 STICKHOUSE Italian Handocrafted Gelato. We walked past this shop so many times and didn't even bother about it until he stopped suddenly this time after like 10 steps past the shop. Then, he kinda reversed and said, "Let's try this!" 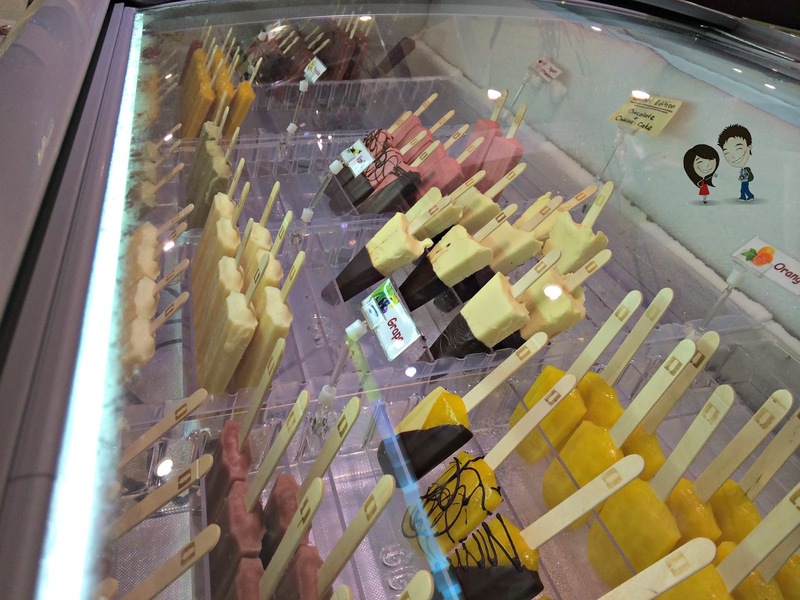 She whispered to him, "It's very expensive punya ice cream okay.." to which he replid, "Nvmlah, we food-bloggers, must invest and try.."
So, we were kinda lost because there were SO MANY DIFFERENT FLAVORS and we have no idea which one to choose. 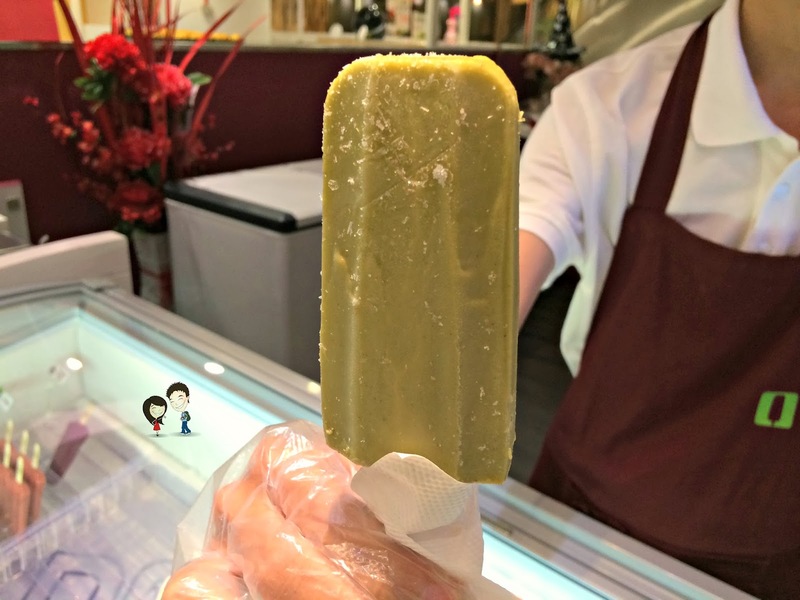 We asked for the best selling one and the winner is PISTACHIO GELATO. Then, you also can add dippings and toppings. He says: Unique I would say. Like the taste of pistachio! Try it if you have an extra kachings to splash. She says: Never a fan of pistachio taste, but this one not bad. 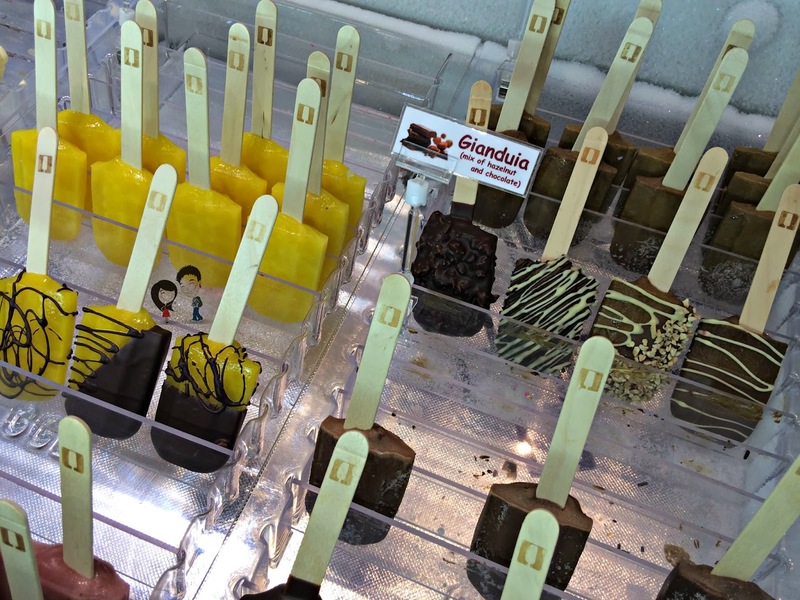 For someone who loves this nut taste, you will like this gelato. It's rich with the flavor and not too sweet. Though it looked like ice-y type, it's actually not. It tastes better than it looks, for sure. 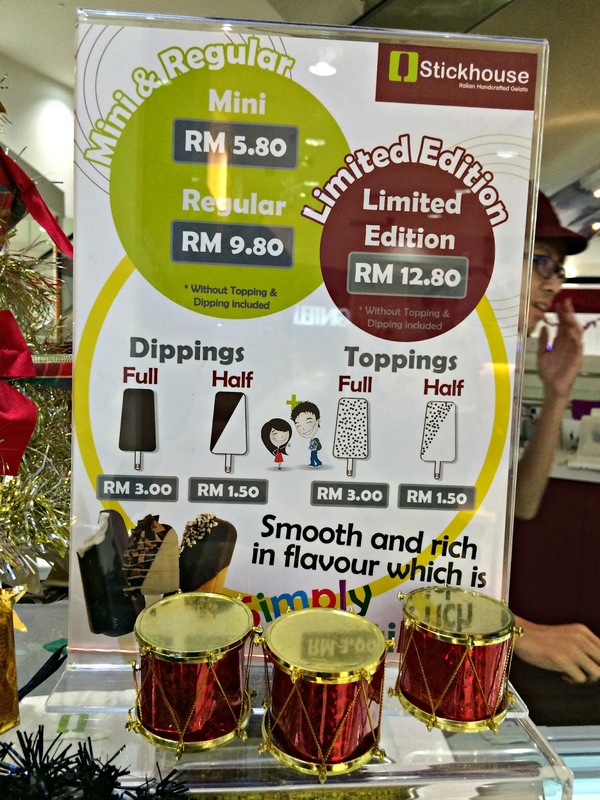 Still, I think it's too pricey for an ice cream like that.